“Autumn Leaves” by Roy Putt – Latest painting and limited edition print. 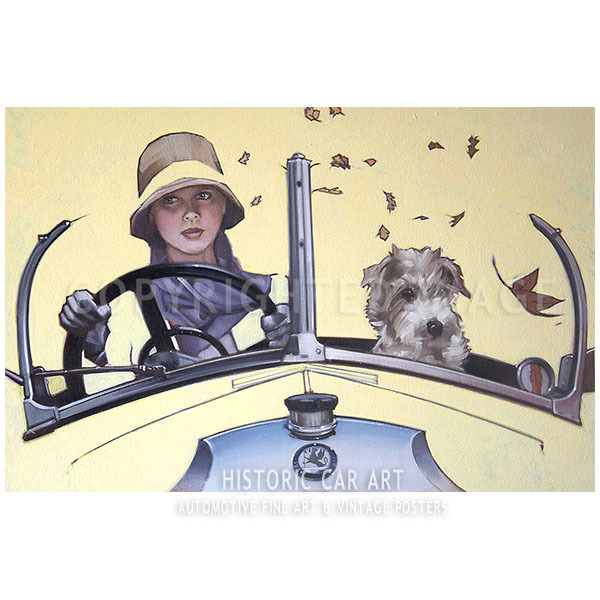 Description: A young lady drives her Vauxhall 30/98 through the swirling autumn leaves while her friend just wants to get out and chase them. Size: Art: 18″ x 12″ (45.5 x 30.5cm) / 27″ x 21″ (68.5 x 53.5cm) incl. Frame. Also available as a limited edition print. Salon Privé 2015. 3-5 September. Official Poster Image. Salon Privé 2014. 3-5 September. Official Poster Image.